Brain atrophy, or cerebral atrophy, describes the loss of cells and tissue within the brain. The condition arises secondarily to many diseases of the brain. The brain is very much a "use it or lose it" organ. Keep it active! The human brain is a truly remarkable and highly complex organ. Neurons are the brain cells that carry messages throughout the brain, nervous system, and body. It’s estimated that healthy adults have around 100 billion neurons, each connecting to 10,000 other neurons—an impressive network indeed! Wherever atrophy occurs, there will be decreased function of that part of the brain and symptoms in the part of the body controlled by that area. If atrophy affects both hemispheres or lobes of the brain, then thinking, sensation, movement, and/or speech may be impaired. 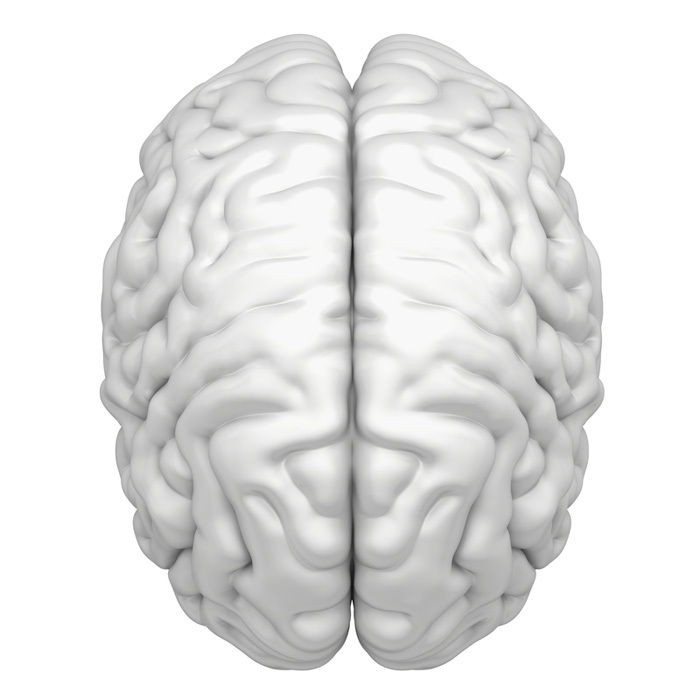 Perhaps the most common question surrounding brain atrophy would be: What causes it? A number of reasons can come into play, among them normal aging. As we age, we lose brain cells and their connections at a rate faster than we can make new cells (neurogenesis) or new connections (neuroplasticity). In fact, from young adulthood onwards, the average brain shrinks 1.9 percent in every 10-year period. In healthy people, the effects may become noticeable in their 60s, when the rate of loss increases to around 1 percent each year. The hippocampus—the area of the brain responsible for forming new memories—shrinks significantly. A healthy lifestyle—including a nutritious diet, regular exercise, mental stimulation, adequate sleep, and social interaction—can slow progression of symptoms due to this normal aging process. Multiple sclerosis, an autoimmune, inflammatory condition that damages the myelin sheaths around neurons. Dementia, which can significantly impact activities of daily living and the ability to work and to interact with others. Symptoms may include progressive memory loss, intellectual impairment, disorientation, inability to learn, and problems with planning, organizing, and sequencing. Seizures, which can range from mild disorientation, repetitive movements, and loss of consciousness to full-blown convulsions. Language problems or aphasias may occur, and include unusual speech or difficulty understanding language. This graphic illustrates enlarged ventricles in a brain and atrophy of nerve tissue (right) . Many of us experience “senior moments”: losing our keys, forgetting the name of friend, or missing an appointment. But at some point, you might become concerned that your symptoms are a sign of something more significant. If so, make an appointment to see your physician. Blood tests for complete blood cell count (CBC), B12, liver function, thyroid function, and antibodies. Your doctor also may request testing for HIV and syphilis. 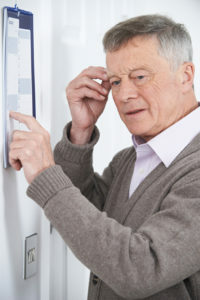 Neuropsychological testing to assess cognitive function and detect advancement of signs of memory or attention issues. A spinal tap to look for markers of Alzheimer’s (tau protein) and Creutzfeldt-Jakob disease. Computerized tomography (CT), a detailed cross sectional X-ray, may be advised if your body finds concerning symptoms or signs. Treatment for brain atrophy depends on the cause. Stroke can sometimes be treated with anti-clot medications or with surgery. Traumatic brain injury can also sometimes be treated with surgery. Multiple sclerosis can be treated with disease-modifying drugs like glatiramer acetate (Copaxone), which reduce the autoimmune response. Infections. HIV/AIDS and some types of encephalitis are treated with antiviral drugs. Syphilis may respond to antibiotics. There are currently no medications to cure dementias (including Alzheimer’s disease), cerebral palsy, Huntington’s disease, and the leukodystrophies. In Alzheimer’s Cholinesterase inhibitors such as Donepezil (Aricept), may help with symptom relief. Your outlook or prognosis depends on which condition caused your brain atrophy. Some conditions—like stroke, encephalitis, multiple sclerosis, or AIDS—are manageable with treatment. Brain atrophy can be slowed or stopped in some situations. 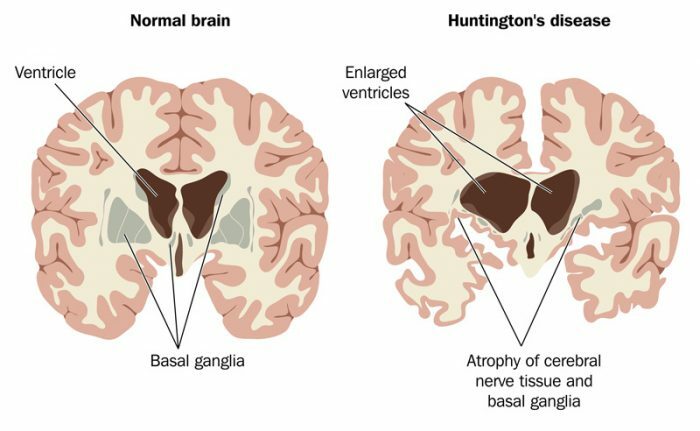 Others—like Alzheimer’s and Huntington’s disease—will get progressively worse in terms of both symptoms and brain atrophy over time. Talk to your doctor about the cause of your brain atrophy, possible treatments, and what outlook you can expect. Your lifestyle choices play a significant role in your brain health, risk of disease and of developing brain atrophy. Eat healthily. Eat a plant-based diet, high in vegetables, fruits, lean protein, whole grains, and omega 3s and other healthy fats. Limit red meat, processed meat, cheese, and other high fat dairy, processed meals, and snacks. See our article on anti-inflammatory foods for more information. Drink healthily. Drink at least eight pints of fluid per day; water is best. One to two cups of coffee a day have been shown to be good for brain health. Black, green, herbal, or fruit teas are a tasty way to increase your intake and have some health benefits, too. Avoid sodas, processed sugary drinks, energy drinks, and milky, sugary beverages. Limit alcohol intake, especially if you already have a brain condition. Exercise regularly. 75 minutes per week of intense exercise or 120 minutes of moderate exercise per week is a good target to improve brain health. See our article on exercise to prevent memory loss. Exercising outside also gives you a vitamin D boost which is great for your brain. Sleep well. During sleep the brain cleans and heals itself and stores new memories. Getting 7 to 8 hours of restful sleep per night is good for your brain health. See our article “Lack of Sleep Side Effects” for information on the link between sleep deprivation, brain damage, and memory. Manage stress. Stress is harmful for your brain. Develop a toolkit of things that help you manage stress. It might include meditation, exercise, yoga, walking in nature, or listening to music. Socialize. Regular social contact, with positive people encourages the growth of new brain cells and releases healthy brain chemicals. Keep your brain active. Your brain loves to learn and experience new things. If you have concerns and are worried about your brain health, don’t be a martyr; make an appointment to see your doctor. You may well have a condition like depression or B12 deficiency that’s easily treated. Whatever the cause, the sooner you have a diagnosis and can start treatment, the better. adequate sleep, aging, alcohol, alzheimer, anti inflammatory, anti inflammatory foods, antibiotics, aricept, b12, b12 deficiency, brain, brain atrophy, brain chemicals, brain damage, brain health, brain shrinkage, cancer, cancer treatments, chemotherapy, cholinesterase inhibitors, coffee, cognitive function, cortisol, creutzfeldt jakob disease, dairy, dementia, depression, diabetes, diet, donepezil, energy drinks, exercise, health, healthy fats, healthy lifestyle, hormone, huntington s disease, lack of sleep, lack of sleep side effects, meditation, memory, memory loss, multiple sclerosis, music, neuroplasticity, omega 3s, plant based diet, prevent memory loss, protein, radiotherapy, restful sleep, side effects, sleep, sleep deprivation, sleep deprivation brain damage, stress, stroke, thyroid, traumatic brain injury, vegetables, vitamin, vitamin d, whole grains. i wonder if you offer any medicine to treat brain atrophy/unsteady gain. Tejram I am sorry to hear about your father. We are not able to offer specific advice. Your father’s health care provider may be able to offer further advice. Andreas, Unfortunately we are not able to offer specific advice. Your care provider may be able to offer further advice. Sorry to hear that your son is unwell. We are unable to offer any individual advice and would recommend you talk with your son’s doctor for advice. Wishing you all well. Sorry to hear that your father is unwell and for the delay in replying. We are unable to offer individual advice and would recommend talking to your father’s healthcare team for guidance. I have brain atrophy thought to have been caused by chemotheraphy. I need advice on stopping the process. I have brain atrophy believed to be caused by chemotherapy. Any advice on how to slow the process ? My main worry is memory loss. I had chemo 10 years ago as a treatment for lung cancer. I now have brain atrophy. Can you recommend a really great neurologist . I live south of Houston.Tx. I am hoping to slow down the progress of this awful disease! At this point my symptoms are not obvious in normal conversations. I thought you might be interested in this article on https://universityhealthnews.com: Brain Atrophy: Can It Be Reversed?